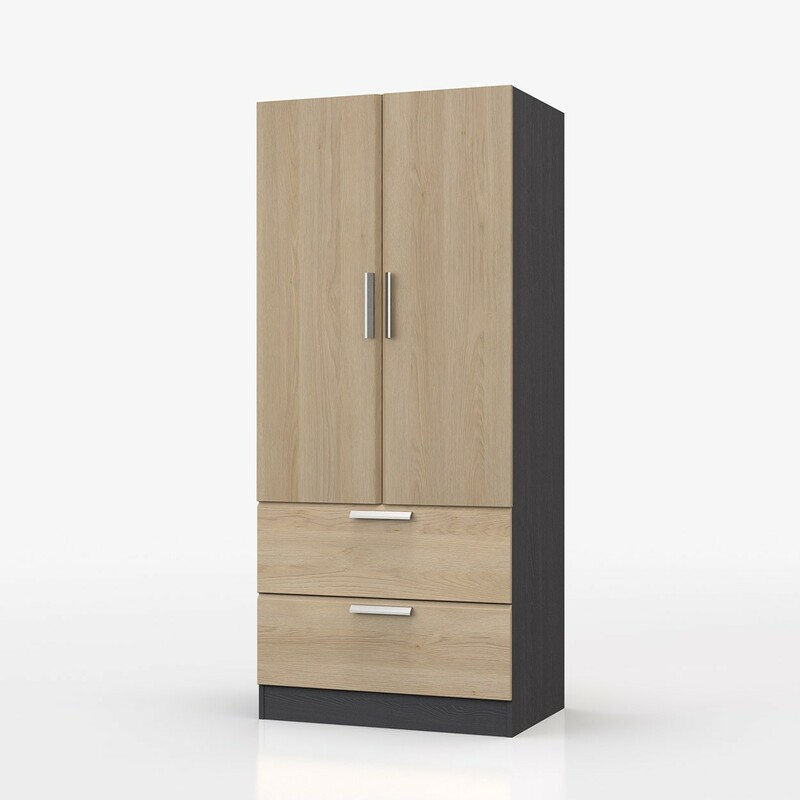 Stunning contemporary 2 door 2 drawer wardrobe with a textured graphite colour carcass and textured, profiled oak colour fronts.Supplied assembled.FREE Express Delivery. "Fantastic quality, superb looks.Contemporary and functional design at an astounding great value price. 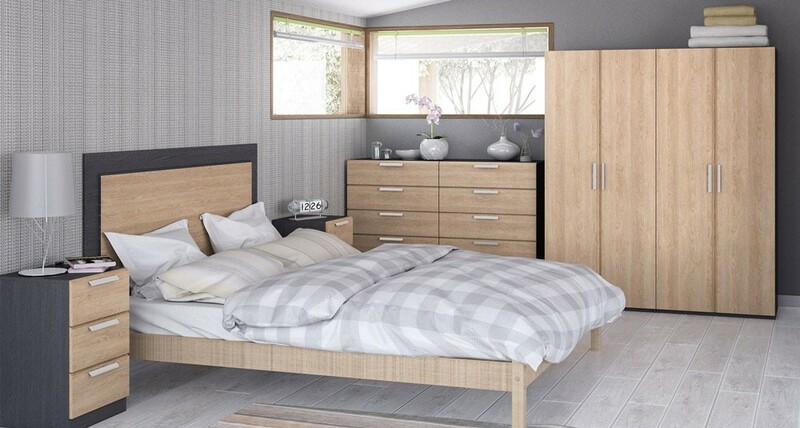 Supplied assembled unless stated makes for a brilliant and sturdy bedroom furniture range." Woodgrain textured doors and carcass. 2 door standard height robe.